I don’t need to tell you that if you are a writer, you need to be able to read, and read well. You need to be able to read for the love of it, to glean inspiration from it, to pick out strengths and weaknesses from it, and to critique it in order to learn from it. The other lesson I have learnt is that you need to be able to read both widely across varied genres as well as reading deeply into the genre you write. 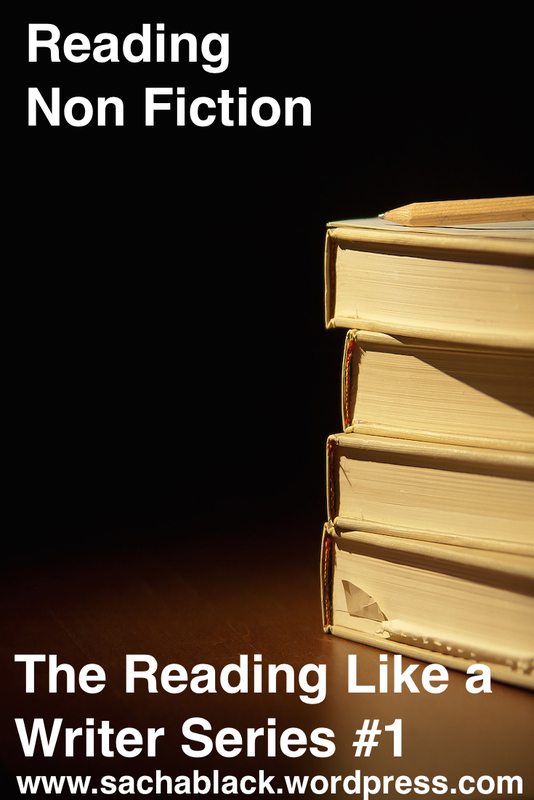 This is the start of a set of new series for my blog, this one in particular is on reading like a writer. I don’t even pretend to be a non fiction reader. Can’t stand it. Much to my father’s – who is a purely non fiction reader- disgust, I am a out and out fiction reader. I have no shame in losing myself in a story, delving into the characters, and disappearing into new worlds. I struggle to read non fiction because quite honestly I find it boring, I hate the lack of story and complete absence of characters. I recently developed an interest in space, physics and the concept of ‘alternative history’ more specifically the ancient astronaut theory. Just an interest mind – I haven’t suddenly converted to anything odd! Both fascinating and giving me the depth I was seeking. But more importantly I already I have a million ideas for new stories. One of my pledges for this year is to read more, but in particular Non Fiction. I won’t be reading just non fiction because its too heavy and I would fail miserably. I want to read a minimum of 12 books this year, a far cry from the 2 or 3 I could sink a week before baby black was born, but still. If I do at least 12 this year I would be ecstatic. What have I learnt about starting to read non fiction? 1. Non fiction (can – depending on what you read) provide interesting facts, ideas, new thoughts, new lessons, new concepts, new everything. 2. It can open your mind to completely new… everything. It will lead anyone with half a cell of imagination into world upon world of new ideas, places and characters. Does anyone out there read non fiction? If so, what types of books/topics? How do you find reading non fiction versus fiction? If you don’t read it, then I hope you try a non fiction book this year, trust me when I tell you slogging through is absolutely worth it, if nothing else, to improve your writing. I started reading A Brief History of Time a few years ago, but it gave me a bad headache, so I stopped. I have it on Kindle, so I should maybe try again. I think I stopped when in chapter (I don’t know, let’s say) eight, it said, “as we saw in chapter three…”. I had no recollection of chapter three; I had to go back and read it again. The headache was caused by the thought of spending the rest of my life flicking around that book because I couldn’t retain any of it. Ah. oh dear, I am spectacularly tired at the moment too… I hope this doesn’t happen to me! Do you read non fiction often? What type? What is the best book you’ve read in your entire life? Oh my gosh. REAAAALLY? You couldn’t possibly ask me that! It’s mean! I am not sure it’s even possible to answer with just one book! What about your best book ever? Indeed, a tough one. And now you’re asking me that question 🙂 The first book that comes up in my mind is Zen and the Art of Happiness. I tend toward nonfiction. Especially when I’m in “doer” mode. Which is me a lot lately. When I’m in that mindset, it’s tough to relax long enough to achieve that relaxed, receptive state I need to be in to enjoy fiction. I have the MBTI textbook on my desk for that MBTI character design project. I read books on building fiction-writing skills. Sometimes before bed the past few weeks I’ve ready Anaïs Nin’s volume one diary. Which is kind of like a story and kind of isn’t. And I read a lot of skills building for bloggers articles online too. By the way, I like that you’re doing a series on reading like a writer. Looking forward to the rest of the series. I usually go through periods where I am reading primarily non-fiction. Then I’ll get into a fiction kick. It’s definitely important to be able to read both. Nothing beats that “ah-ha” moment in non-fiction when different concepts come together in your mind and suddenly you get it. It feels like your opening doors in your mind. I couldn’t agree more. I think it’s important to read both its just that I have only recently got into non fiction. I do love the Ah ha moment in fiction too though when you suddenly get the twist in the story. Nothing better. What kinds of non fiction do you read?